West Ham fans are never slow to remind everyone that their club helped England win the World Cup in 1966. 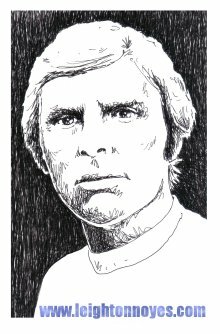 But Hammers heroes Geoff Hurst, Bobby Moore and Martin Peters not only brought glory to club and country, they left the East Enders with a legacy for generations to come. Even today the Hammers’ academy remains the ultimate production line for young English talent. If England win the World Cup in South Africa next year John Terry, Rio Ferdinand, Frank Lampard, Michael Carrick, Joe Cole and Glen Johnson can all thank the academy. Alan Curbishley, Paul Allen, Tony Cottee and Paul Ince were fellow academics. This year alone, eight more academy kids have featured in West Ham first-team matches and a ninth has made the bench. Kids like Jack Collison, Freddie Sears and now, Junior Stanislas, who scored on his full debut on Saturday against Sunderland, are threatening to become household names under boss Gianfranco Zola. It is an unrivalled success story thanks to the genius of one man — Tony Carr. Such is the enormity of what he has achieved, the West Ham youth academy director is being rewarded for 36 years unbroken service as a coach with a testimonial, normally a privilege reserved for players and managers. Today’s Premier League clubs scour the world for new talent but Carr said: “With the odd exception, such as Michael Carrick, virtually all our players have come from east London and the Essex area. “We have a good system in place but people like Jimmy Hampson have to take credit for spotting the players in the first place. “Obviously some of the lads who came through are playing elsewhere. 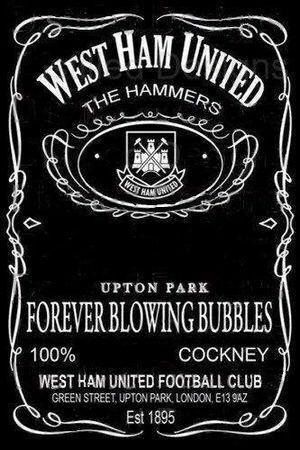 One part of me regrets these lads left West Ham but circumstances dictated that. I look at them and I’m proud that the club played some part in their development. “Rio was always an incredibly jovial lad. If something funny was going on in the dressing room, Rio was normally at the centre of it. When it came to football, he always worked very hard. Class player. “I still call Frank Lampard young Frank, even though he’s nearly 31. “Even in the youth team, Frank took his football very, very seriously. He was almost in a rush to get out of the youth side and into the first- team, which is no bad thing. “Joe Cole had to deal with an incredible amount of expectation from an early age. Some players may have struggled with it but Joe is such a lovely, down-to-earth lad and dealt with the pressure well. “In many respects, Michael Carrick benefited from Joe getting all the attention and was able to develop at his own pace. “John Terry was with us for four years and stayed until he was 14 before he left to go to Chelsea. “He was a local lad and it was a shame he moved on. I always knew he was going to be a top player. “Anton Ferdinand did well to come through as he often found himself in his brother’s shadow. When he was a schoolboy, I remember kids asking for his autograph, but asking him to sign the paper as Rio! He took it in good heart and fought his way to the top. “Glen Johnson came to us as a striker and once scored a hat-trick with three headers. Then we moved him to wide right, centre midfield and central defence before finding a niche at right-back. “Now, we have Junior Stanislas, Freddie Sears, James Tomkins, Jack Collison and another who will feature soon is Josh Payne. Carr is no ordinary employee. West Ham have had only 12 permanent managers since the club was formed in 1900. Incredibly, Carr has worked for nine of them! He added: “All the managers I have worked for, from Ron Greenwood up to Franco, wouldn’t have got the job if they weren’t youth orientated. “History shows that this club has already been prepared to blood youth if they are good enough. Carr is in fact 59. He started out as a trainee striker at West Ham in 1966 but, after four years at the club, headed to Barnet as he felt his chance were limited. He added: “I joined West Ham as a 15-year-old in 1966 which was obviously a good year. Ron got all the club’s players together on my first day of training and congratulated Bobby, Geoff and Martin for their success at the World Cup. “I eventually left for Barnet but that didn’t work out. I then broke my leg and did a bit of coaching at schools. In the summer of 1973, John Lyall took over as coach and asked me to come and help. “I was asked to run the Under-17s and a newly established Under-16 team. They had some good players, including Alan Curbishley and Paul Brush. It was part-time — £8-a-week. “In the summer of 1980, the day before West Ham played in the Charity Shield, John asked me to be full-time. I became youth team manager for a salary of £7,500-a-year. “We produced Paul Ince, George Parris, Tony Cottee and Stuart Slater, and quite a few other players who went on to do well at other clubs. As Lampard pointed out while on international duty last week, the attitude of young trainees has changed over the years. Lamps believes all clubs should make their youngsters clean boots and sweep changing rooms. Carr added: “Things are different now. More clubs used to make their players do jobs at the ground. “A lot of the little clubs abused that and made them into cleaners and part-time footballers. “Our boys don’t clean the first-team’s boots because the youth team and first-team train at different sites. “I used to have to clean Geoff Hurst’s and Bobby Moore’s boots. In the summer, we had to paint the tunnel and the corridor sky blue. “They stopped those jobs which to a certain degree is right, but players should clean boots, clean dressing rooms and clear up their own kit rather than just throw it on the floor. Carr hopes many of his former trainees will be allowed by their current clubs to feature in the testimonial game next season. So, imagine Ince and Lampard pulling on a West Ham shirt again.